While taking a picture of the blue tort acropora that was recently mounted to the aquascape, I spotted something on the coral that I didn't want to see. To know for sure, I took a few more pictures with a couple of different lenses, trying to capture the exact spot I'd seen the first time. It turned out to be real, I found two red bugs in my reef today. What is the difference between a Whelk and a Nassarius snail? Here's an image below. 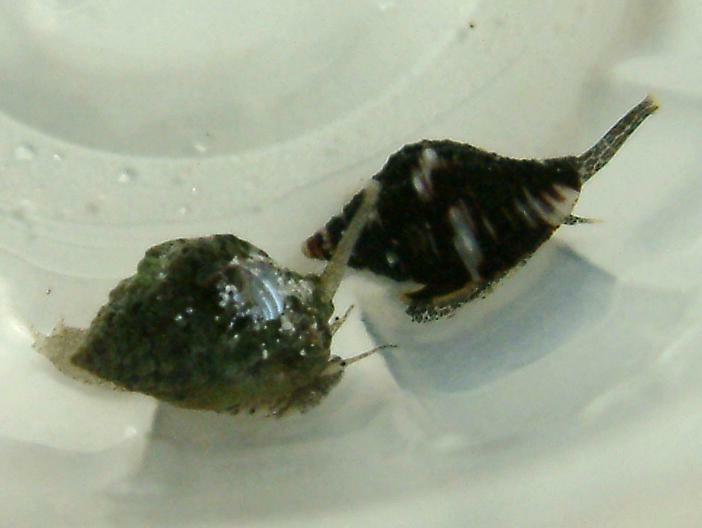 The creature on the left is a Nassarius, the one on the right is a whelk. Btw, whelks get much larger, while Nassarius don't. If you look at the texture of their snouts, there is a specific pattern tatooed onto the flesh of the Whelk. Also, the whelk has a protective shell on its tail that it uses to seal itself in its shell when in danger. This gives it a water tight seal. Read more about What's a whelk? I added a few new zoos from a local reefer's tank last night. Most of the zoanthids haven't opened up yet, for various reasons. Mostly because my hermit crabs are checking out the new guys and that causes the polyps to remain closed. Some very light pink ones have fallen off their perch twice, so I couldn't get a good picture of those either. These are the prettiest ones of the ones I got, and they were open today. New Zoanthids. They are the size of a pencil eraser or smaller. Is this Mithrax crab a problem or not? I put him in a small dish trying to decide whether to listen to the advice of those that opposed this pretty guy, and he hung on the edge of the dish for at least 15 minutes out of water. Finally I dropped him into my refugium for now. 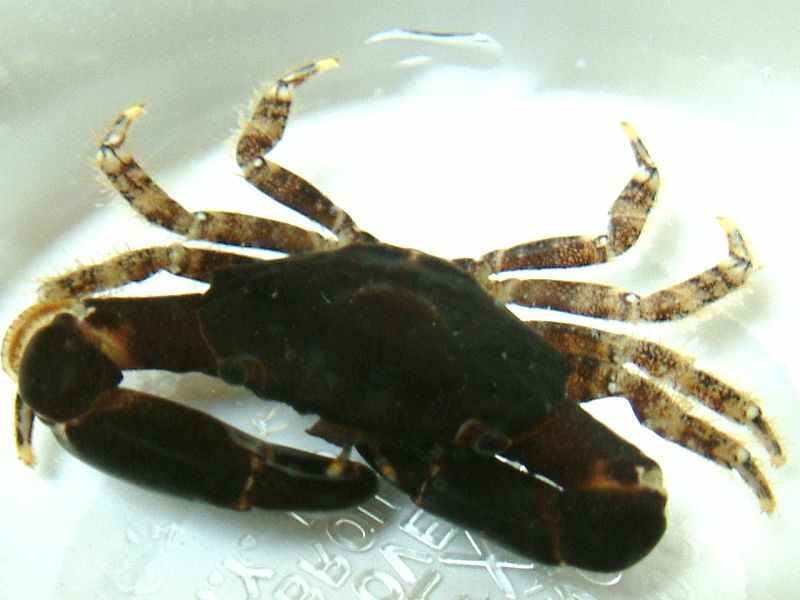 Read more about Is this Mithrax crab a problem or not? Word to the wise: Be very careful with kalkwasser in your main tank. I mixed up a paste of pickling lime to kill one large aiptasia. I drew this mixture up into a syringe, pulled the rock out of the tank and proceeded to inject the vile beast until it resembled black tar. Then I rinsed the spot with another syringe of water. A very sad occurance.... I had a beautiful baby gold Maxima clam shipped to me from a friend in another state, which I carefully acclimated to my tank for a couple of hours. I placed this 1.5" clam on an empty shell in the center of the rockwork in my 55g under MH lighting. Read more about Those snails did what? Posted 12 hours 58 min ago.